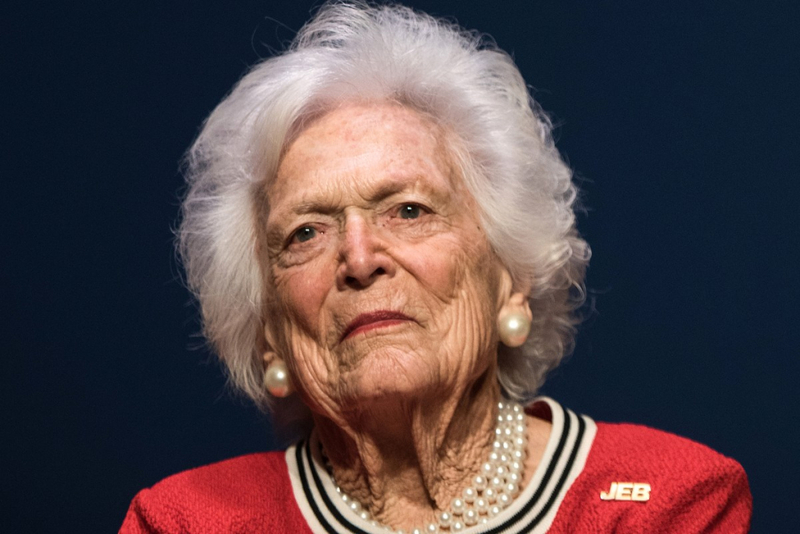 Only days after it was reported that former first lady Barbara Bush had refused ongoing treatment for COPD (chronic obstructive pulmonary disease) and congestive heart failure, the New York-born Bush family matriarch died at her home in Houston, Texas on Tuesday, April 17. She was 92 years old. She was married to former president George Herbert Walker Bush for 73 years and he was at her side when she passed. According to family that was present, her husband spent the day at her side holding her hand and was brokenhearted at her death. The elder George and Barbara’s love was enduring. When George went off to fight in World War II, the three planes he flew were named Barbara, Barbara II and Barbara III in her honor.